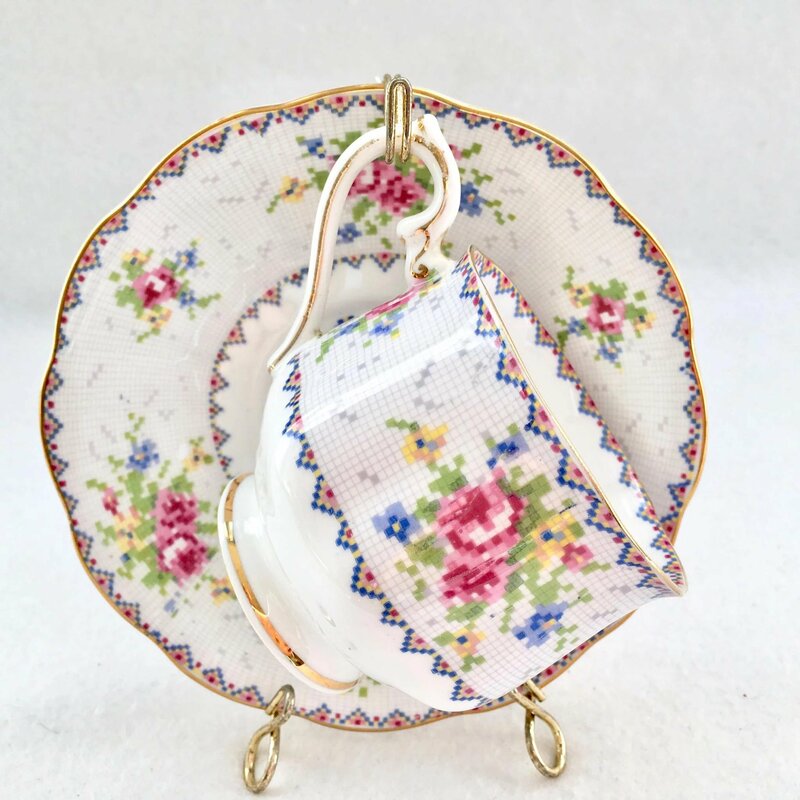 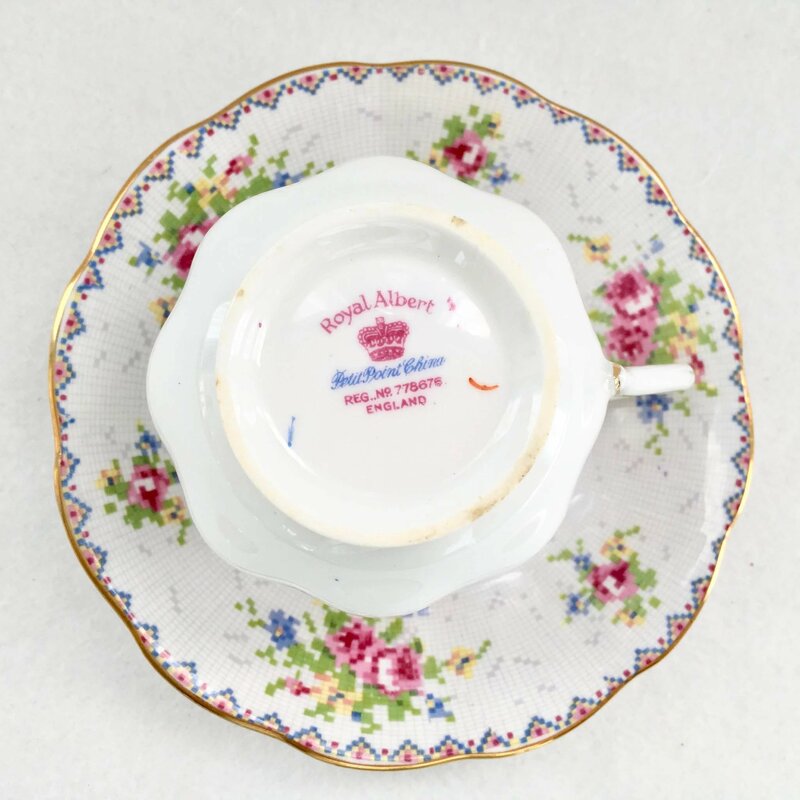 Offered for your consideration is the pretty Petit Point pattern in this Bone China Teacup and Saucer by Royal Albert, England. 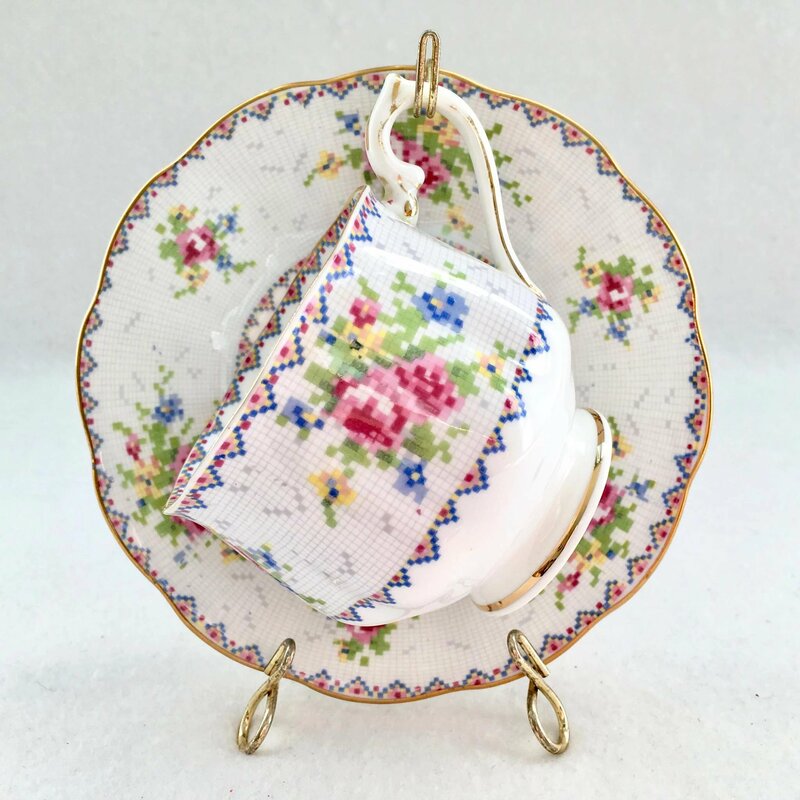 The Petit Point pattern is made to resemble needlepoint with a background grid of pale gray. 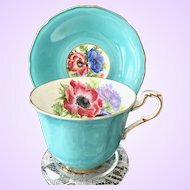 A medallion in the center bottom of the saucer features pink roses accented with soft blue and bright yellow flowers backed by greenery. 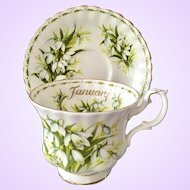 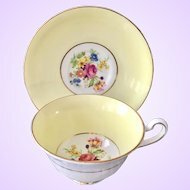 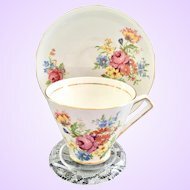 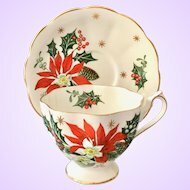 This floral motif is repeated around the rim of the saucer, with a smaller matching design between, and is repeated around the outside of the teacup. 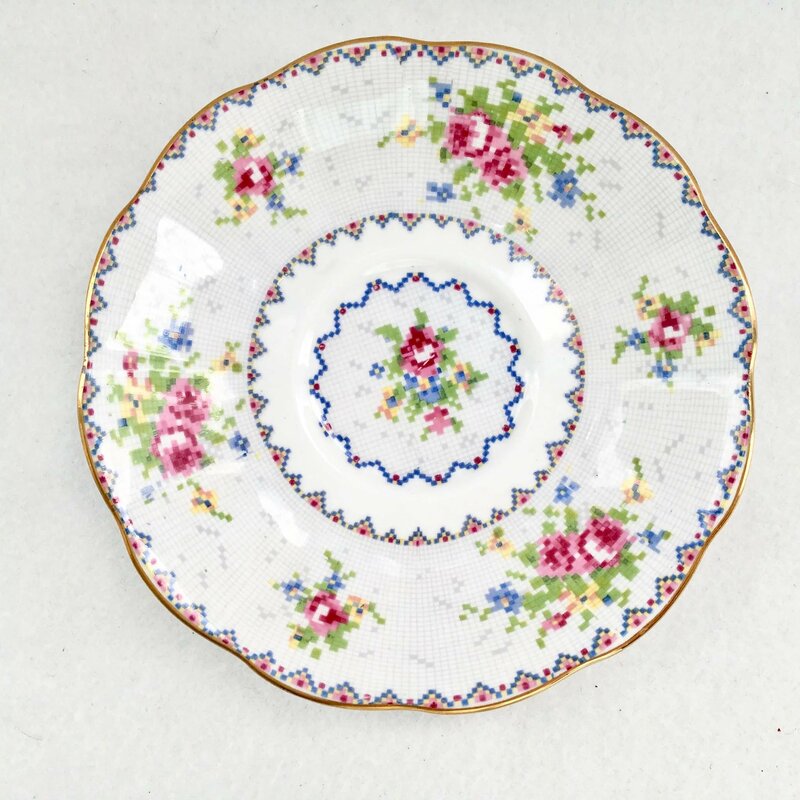 The center of the saucer and the inner and outer edges of the floral bands are decorated with a red, yellow, and blue zigzag motif. 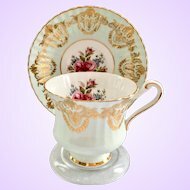 The scalloped rims, as well as the foot and handle of the cup, are all trimmed in gold. 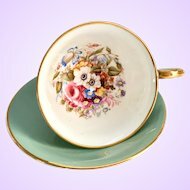 The Hampton shape teacup measures 2-7/8 inches in diameter and 2-5/8 inches tall, almost 3-inches to the top of the handle. 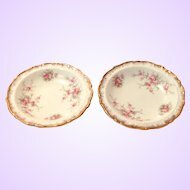 The scalloped saucer is 5-5/8 inches in diameter. 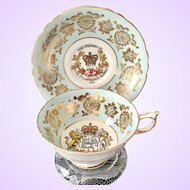 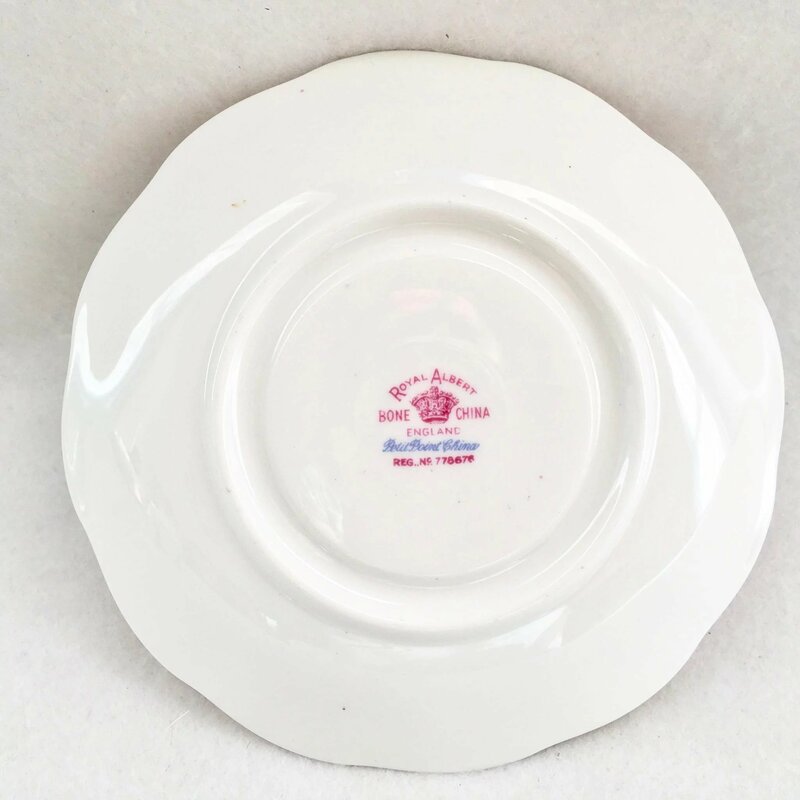 Both pieces are stamped with the Royal Albert Crown mark in deep pink that reads "Royal Albert/Bone China/England/Reg.No.778676." 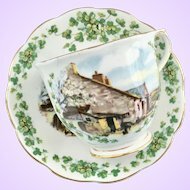 "Petit Point China" is written in blue script above the registration number. 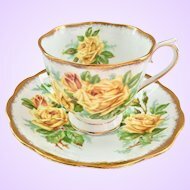 There are additional artist’s marks on the cup. 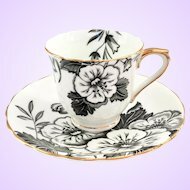 This mark was used by	Royal Albert China during the 1940s. 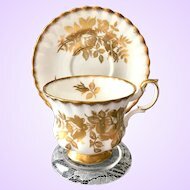 There is some wear on the gold, especially on the handle, consistent with use. 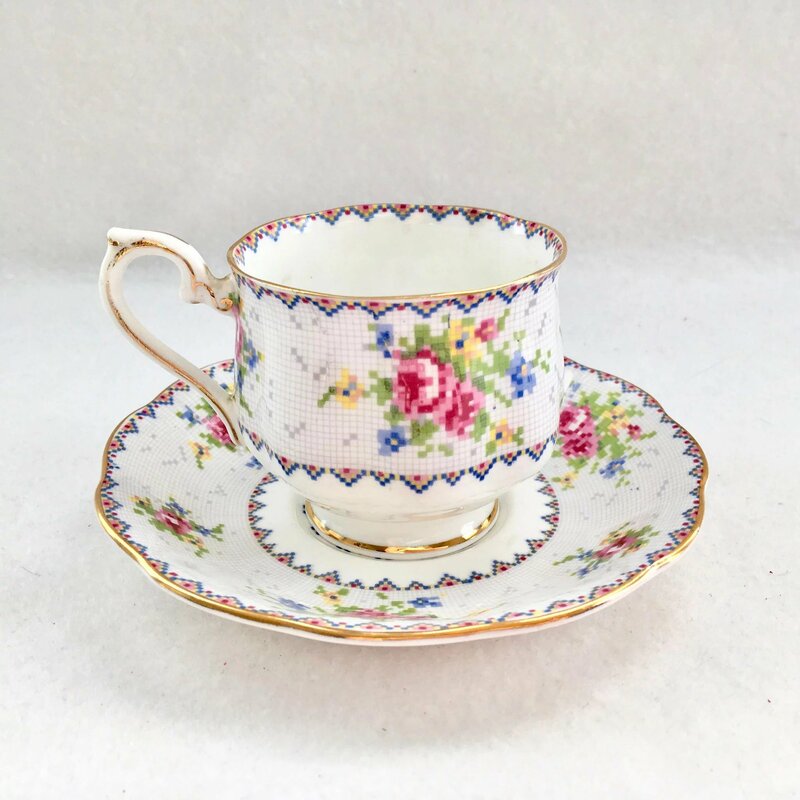 There is a 1/4-inch, barely visible, line of raised spots on the front of the cup as though three or four grains of sand got caught under the glaze. 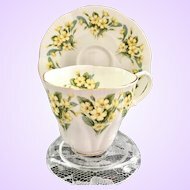 There is also a small 1-mm indentation on the gold rim of the saucer as though it was knocked into something, but the gold is still present. 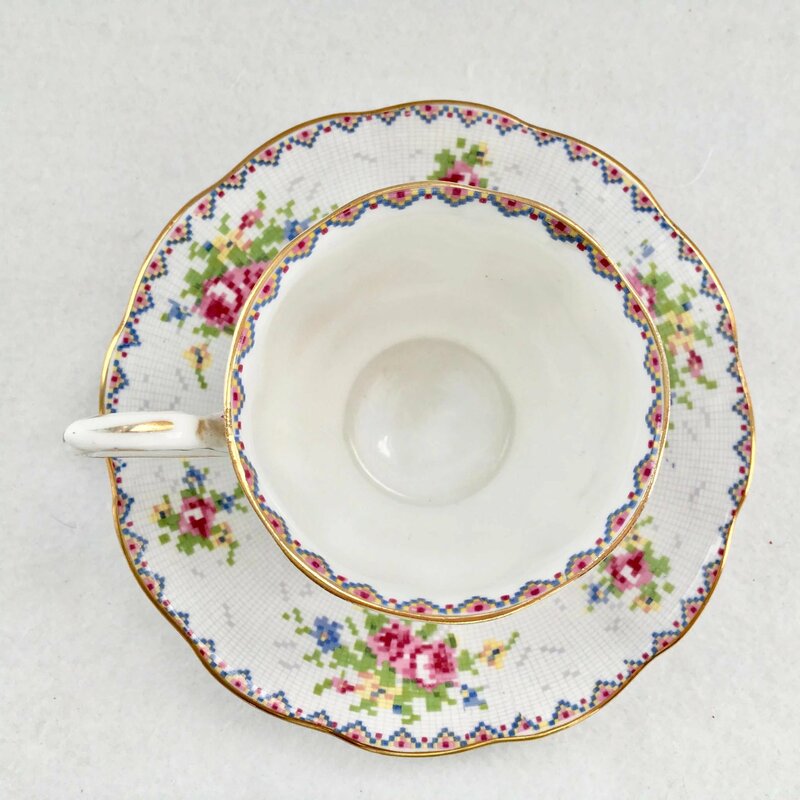 As vintage pieces, they are not perfect and show minor surface scratches. 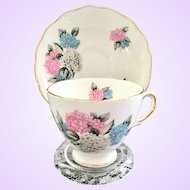 There are no other condition issues. 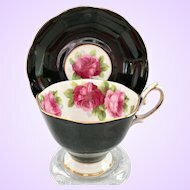 Be sure to look for the matching plates also offered in my shop. 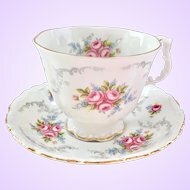 I'm so happy you stopped by Maggie Belle's Memories! 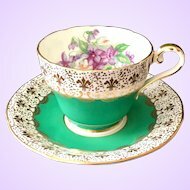 Please find us on Facebook for updates and fun information!